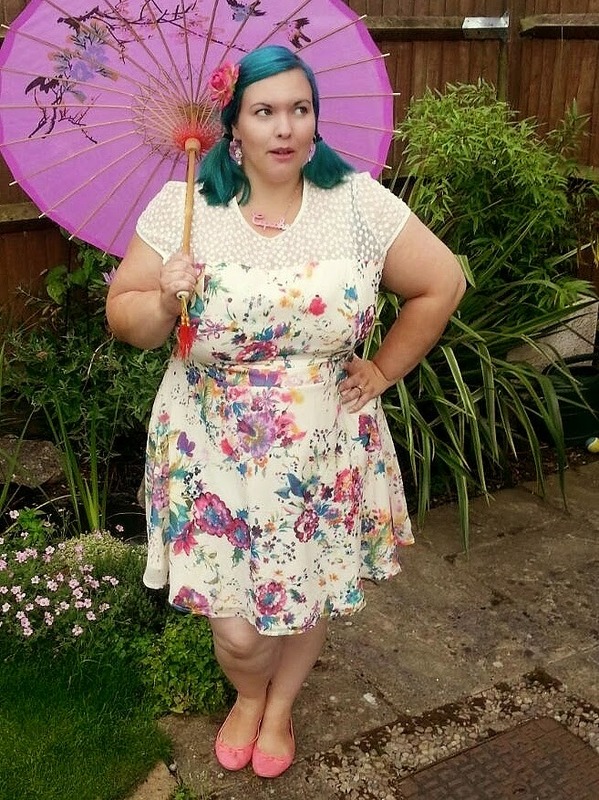 This month I am styling Katherine from A Curvy Cupcake. She already has awesome style as we often lust after the same dresses. She is totally cool as well go check out her blog and send her some love! She has a fun style as you can see. I love her hair and the parasol in this picture. Now I noticed the lovely Katt is influenced by rockabilly 50's full skirt dresses. I saw this dress and I loved it. They also make Dr Who dresses. I know Katt is a Dr Who fan but I have seen some cool tardis ones around that she could also totally rock. Maybe you could make a dress like this Katherine? This one is from Frockasaurus on Etsy. 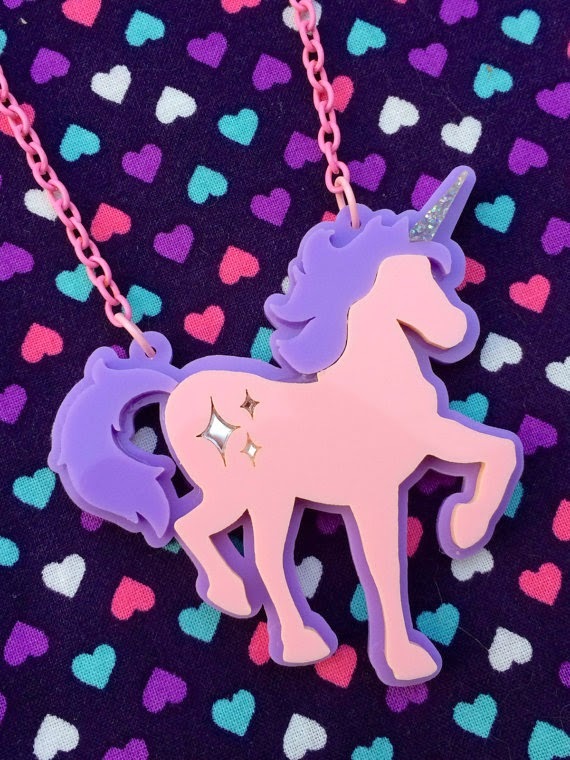 I think the colours would really suit her fun personality and who doesn't love unicorns? It would look best with a big petticoat underneath to give the full skirt so everyone can marvel at the magical unicorns. 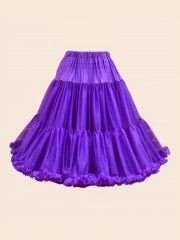 I like this purple one from Vivien Of Holloway but there are lots of different colours and price range on ebay. It would look super cute with Katherine's hair up in a beehive with an over sized bow. I also loved this necklace also from Etsy but by Geeky Wears. Some nice simple ballerina flats in lilac as Katt is a busy mummy on her feet all day but still looks stylish while doing so. Go check out her awesome blog and also check out the other bloggers taking part in this challenge. See if you can spot who styles me! What do you think of this outfit? How would you have styled Katt? The colours are so vividly gorgeous I love it, I also love that dress she is wearing too !! The 60s style of dress is so flattering and brings back memories of my youth. Full lace petticoats under a flaring skirt, nipped in waist--so flattering. 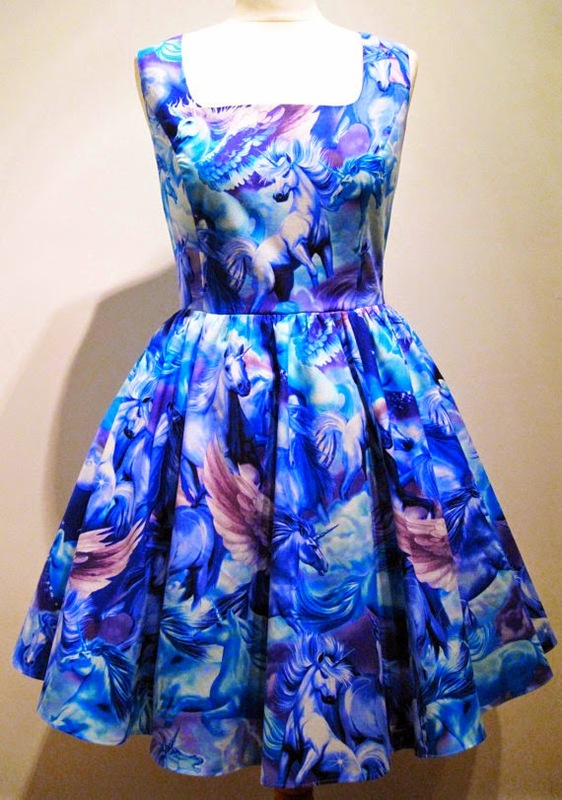 I love Frockasaurus on Etsy! I think her dresses are amazing :) Love your outfit! YESSS. UNICORNS! Think I'm pretty much in love with this outfit. Its me all over. And that ebay seller is actually local to me. So *obviously* I will have to support local traders and buy this one day right? Right.